Construction company Woodhead has completed a £2million project to deliver a new teaching hub for Loughborough University. The West Park Teaching Hub, is located in the former Ford College building where work to convert the existing building began last July. The project which was completed in January has involved a complete adaptation, reconfiguration and refurbishment of the internal layout. Working alongside Core Architects, an innovative design was developed to deliver a creative teaching and learning space for the university. The facility has been converted to provide a series of high quality lecture theatres, the largest of which will be able to accommodate an audience of 258. The facility also includes two seminar rooms and a central learning and exhibition zone which can be used as two small areas or one large one. The 23 week refurbishment and renovation project is now complete and has seen the interior of the building change dramatically. Alongside the formal teaching space will be an informal learning area with comfortable seating as well as open plan waiting areas with seating and a café. 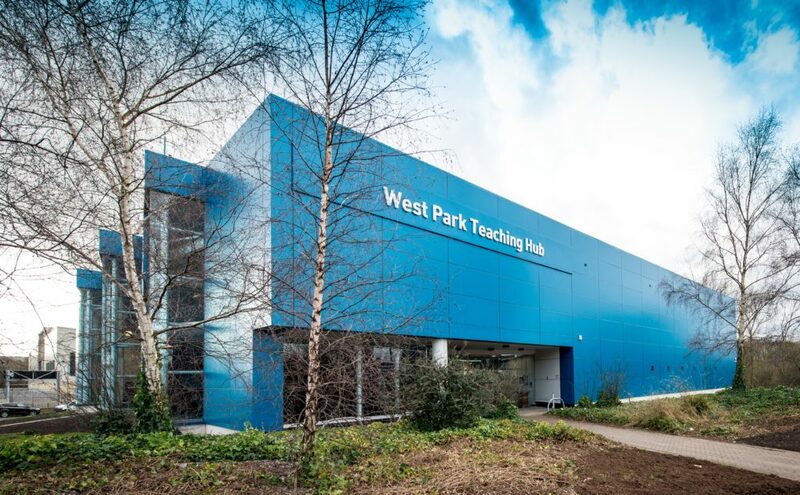 The West Park Teaching Hub project was secured by Woodhead through a competitive design and build tender. At the time of the bid, the team was in the process of delivering a project for Loughborough University at the Edward Herbert Building on campus. The project, which saw the transformation of The Linford Dining Suite, a kitchen and dining facility, into a multi-faith centre for the university, was completed earlier this year.